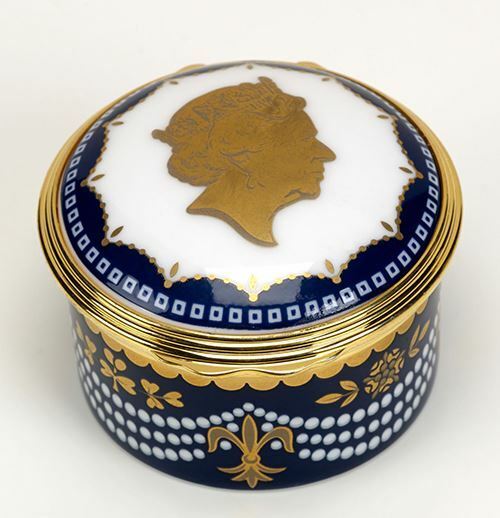 Eminent ceramic designed William Edwards has created a superb fine bone china hinged box to celebrate the Queen's 90th birthday. A pearl-inspired garland surrounds a 22-carat-gold silhouette of the monarch. Floral symbols representing England, Wales, Scotland and Ireland are shown in gold around the piece. The box bears the Queen's head and '2016'.